The privately funded Ten Commandments monument was approved by the conservative-led Oklahoma state legislature in 2009, and erected on Capitol grounds in 2012. It has riled up opponents ever since, many calling into question the constitutionality of the monument. But Greaves does not see a problem with the Christian monument, as long as it does not stand alone. The American Civil Liberties Union has been less accepting of the existing monument, and has filed a lawsuit seeking its removal. 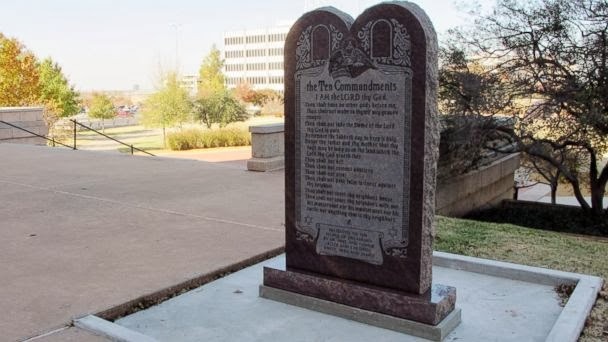 State Rep. Mike Ritze, a Republican representing Oklahoma’s 80th District, spearheaded the efforts to create the Ten Commandments monument. Ritze’s family also helped pay for the construction of the $10,000 structure. Ritze could not comment because of the impending ACLU lawsuit. Though this would be the first monument of its kind for the Satanic Temple, the group has been active in the past to push public displays of religion. The temple held its first major rally in February to support Florida Gov. Rick Scott’s signing of a bill allowing the possibility of student-led prayer in the state’s public schools. “The Satanic Temple embraces the free expression of religion, and Satanists are happy to show their support of Rick Scott who … has re-affirmed our American freedom to practice our faith openly, allowing our Satanic children the freedom to pray in school,” the Temple said in a February statement announcing the rally.